The entertaining, fascinating, illuminating, story of a truly unique company. Like Pixar movies, Creativity Inc. is a masterpiece. I love the films and I love the book even more. Having a look behind the scene help us realize success does not come by chance, but by a deliberate attempt to reach excellence, through humility and candor. Nowadays, every company presentations includes a slide about innovation and creativity, but few come close to create the conditions to make that happens. 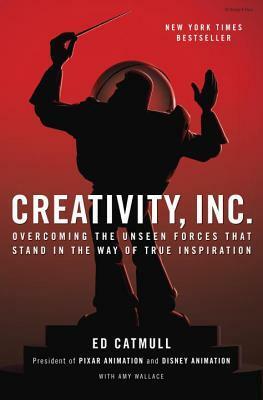 Creativity Inc. relates the successes but also the mistakes, the struggles, and the challenges that Pixar had to face to revolution the animation production. As outlined by the author, co-founder of Pixar, change is the only constant, and what is present in the book will not reflect what Pixar will need to stay at the top, but the mindset will, without any doubt, help them to growth to infinity and beyond. The book audience is very large. If you are curious about animation, you will be delighted by the countless anecdotes. If being creative is a part of your work, or if you are managing people in a dynamic environment where they are many paths to success (increasingly true for most companies, especially when software is around), you deserve a copy of this book. The making of Pixar is definitely one of the most incredible company success. You can’t bet on your own career to gain even a small part of the wisdoms present in this book. Top executives will find this book particularly valuable to challenge their preconceptions.